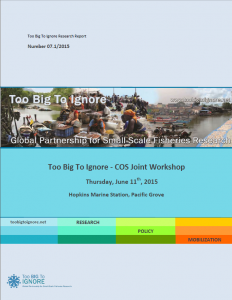 The Too Big To Ignore project and the Center for Ocean Solutions joint workshop was held on Thursday, June 11th, 2015 in Pacific Grove, California. 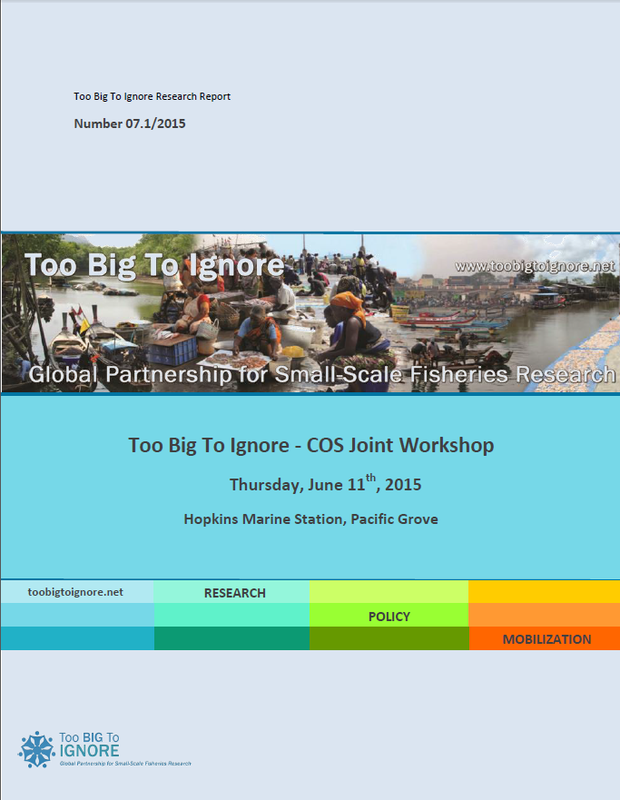 The workshop was an opportunity to present current work on small-scale fisheries and discuss potential future partnerships among the two organizations. The Center for Ocean Solutions is a collaboration among the Stanford Woods Institute for the Environment and Hopkins Marine Station of Stanford University, the Monterey Bay Aquarium and the Monterey Bay Aquarium Research Institute. The Center is currently working on a new project, aimed at generating accessible and practical advise for funders, NGOs, and philanthropies dedicated to small-scale fisheries sustainability. To learn more about this project, how it complements the TBTI "SSF Guidelines" cluster and to find out more about the other SSF issues discussed at the workshop, download the workshop report.